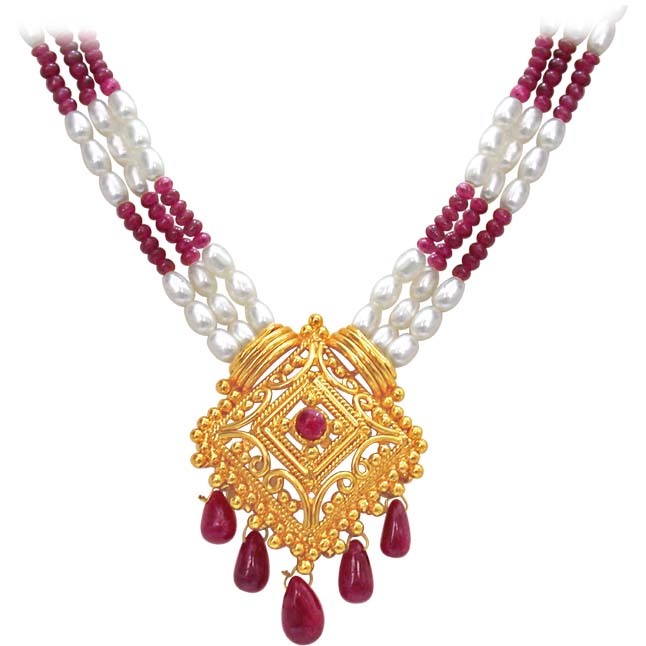 A lady derives her beauty and grace from two things; one being her inner beauty and the second her ornaments. 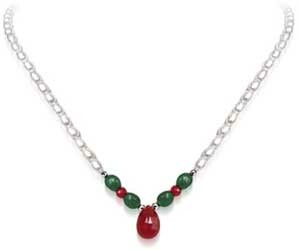 Wear this faceted drop and round ruby, emerald and pearl necklace with a beautiful single line faceted drop ruby and discover your grace. 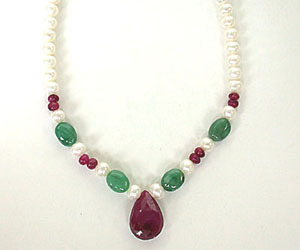 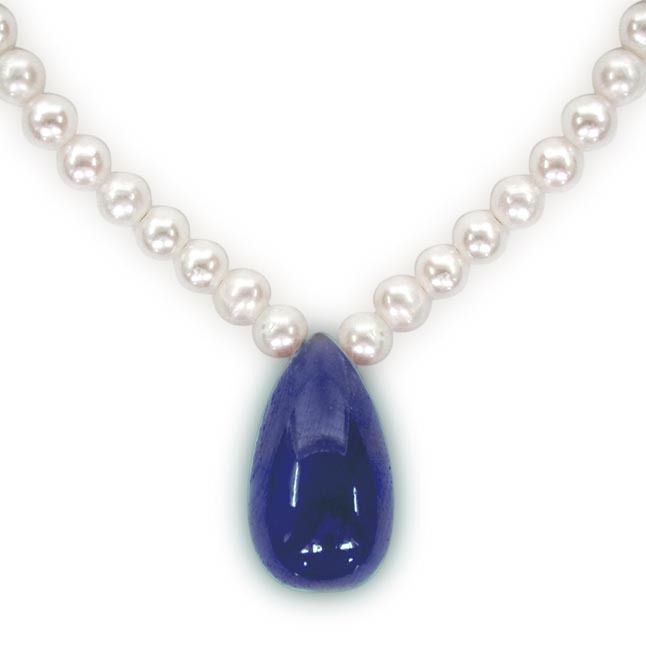 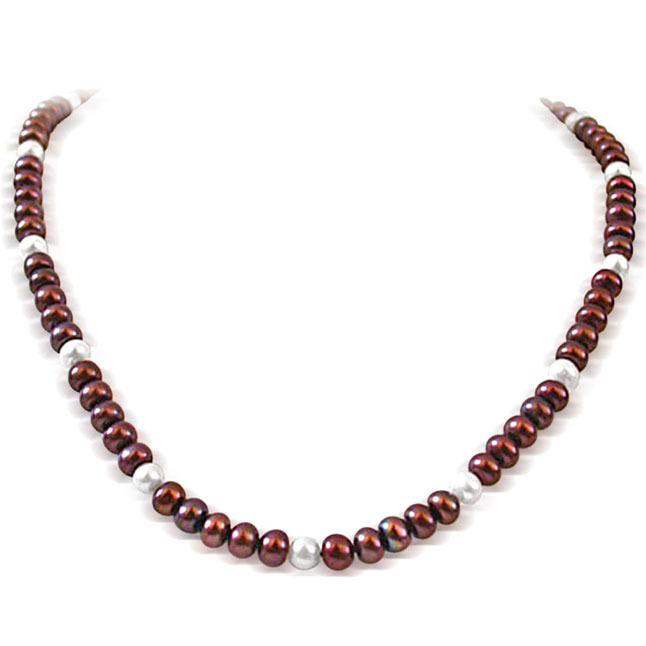 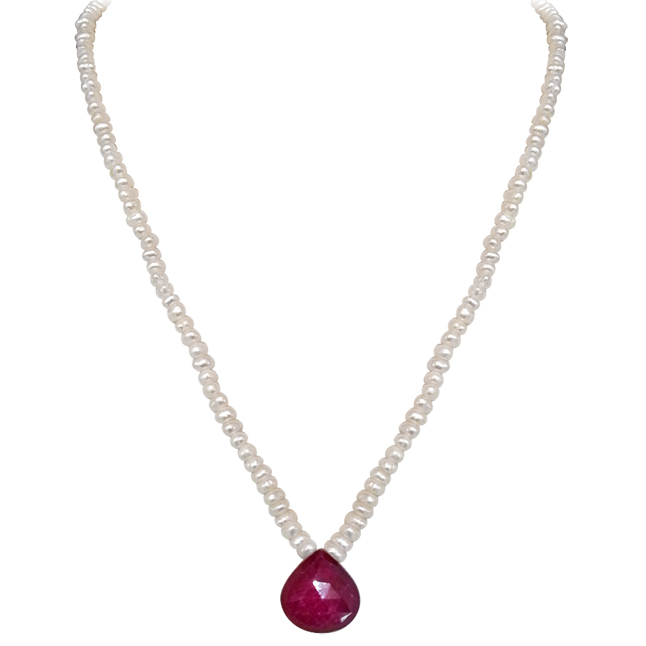 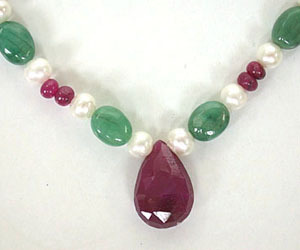 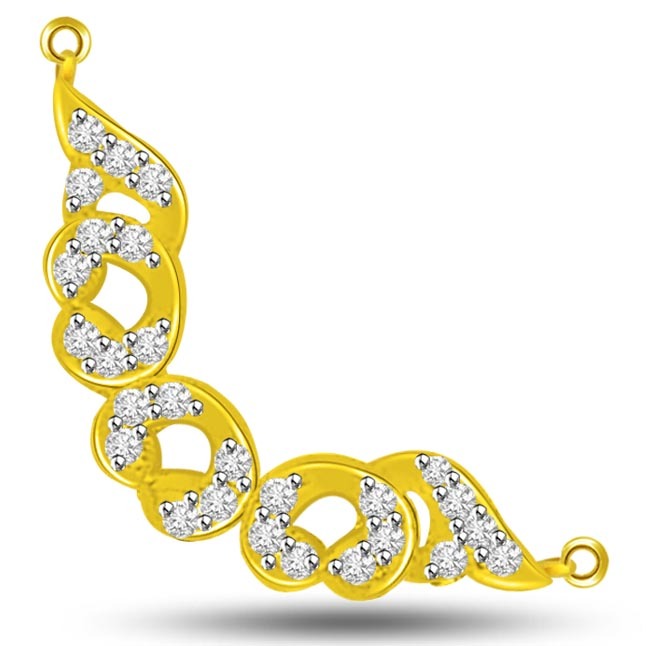 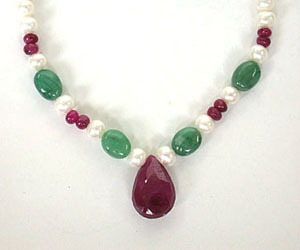 Pearls: 3 to 4 mm Faceted Ruby: 1.50 x 1.00 cms Approx Ruby Beads Dia: 2 To 3 mm Necklace Length: 17"